Today is the first day of school — at least for the kids. Teachers, on the other hand, started preparing for the first day of school long before today. I drive past several schools on my way to and from work. For the past couple of weeks I have noticed all of the cars in school parking lots, cars that belong to teachers. My wife is a science teacher and clicked into teacher mode long before today. Along with others, she has worked hard over the past few weeks to do all of the stuff necessary to welcome kids on this first day of the new school year. While driving to work this morning I thought about several of my favorite teachers. 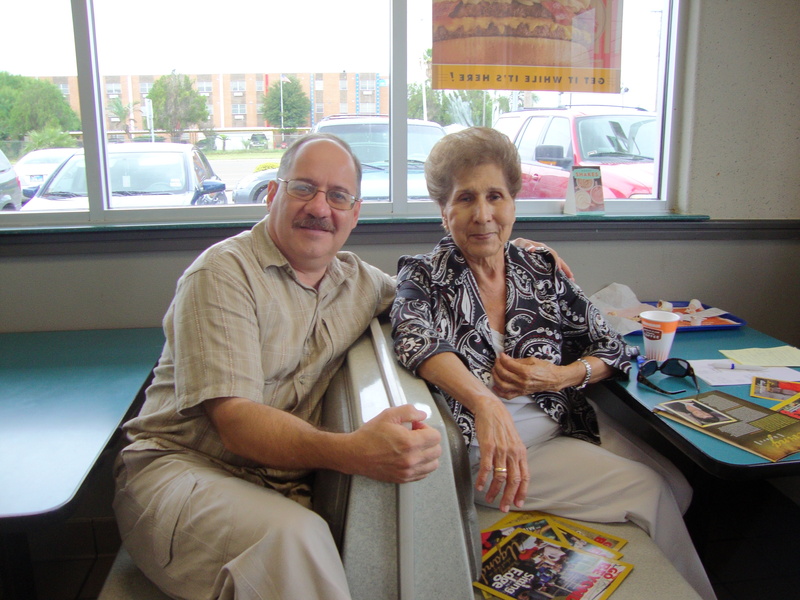 In July 2010, I had the opportunity to reconnect with Mrs. Espericueta, my first teacher. She started the first Kindergarten program in my hometown of Mission, Texas. She had renovated a one-room building into a classroom at her own expense and used her station wagon as a school bus. I’m glad I had the opportunity to thank her for investing in my life. She died in January 2014. Mrs. Cotton was the first teacher to tell my beautiful Mom that I had a lot of potential — and that I was really good at daydreaming. Mrs. Alden, my elementary school music teacher, played an old upright piano and taught us fun songs. My favorite song was “The Strawberry Roan.” Mr. Knipp made science fun and interesting. Mrs. Bowe encouraged me to write for school publications. She once told me that I had a good disposition, prompting me to look up the word in the dictionary. Mr. Boles, the high school clarinet instructor, was the most encouraging teacher I met in high school. And, I did not even play the clarinet! I am grateful for all of the teachers that invested in my life. Like my wife and other teachers who welcomed students into their classrooms today, my teachers also spent a lot of time preparing their classrooms to welcome me on the first day of school. I wish I could find each of them to just thank them once more for their hard and dedicated work. Teachers really do touch the future. So, be sure to thank and encourage your teachers today and throughout the year. My arms are filled with Mila ... and my heart, too. Back from Uganda and straight to Lewisville to see my beautiful little granddaughter. Cheryl and I are loving this new chapter of our journey.